Chefman is a leading brand in the small appliance market, bringing innovative value packed ideas to life with stylish, top quality products and eye-catching packaging. The Chefman brand is all about adding real-life value to the kitchen, providing you with the tools you need to make your life easier and more efficient. What makes Chefman special is the brand's relentless drive to give you products that keep to the highest quality standards, with functional yet innovative design, and fashion-forward styling, as well as the content to provide a comprehensive kitchen experience. The Chefman line adds excitement and value to every kitchen. 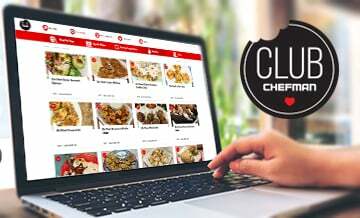 Chefman turns cooking from a chore into an experience by providing home chefs with the tools they need to achieve picture-perfect results with maximum efficiency. Removing the pain points from the cooking process is easier said than done, but by utilizing technology, advanced engineering, and simplified user interactions, Chefman has helped enhance the cooking experience for home Chefs around the globe. Club Chefman connects consumers to their appliances to educate and expand their culinary passions to master their kitchen. Gain access with every Chefman purchase to hundreds of step-by-step recipes and tutorials tailor-made for Chefman appliances! Chefman's goal is to remove all the stress and friction that come with home cooking and eliminate the guesswork for restaurant quality results at home. It’s like a cooking class right in your own kitchen— welcome to the Club! Combining sharp visual cues with must-have values, the Chefman assortment brings freshness to the kitchen appliance industry with never before seen features. 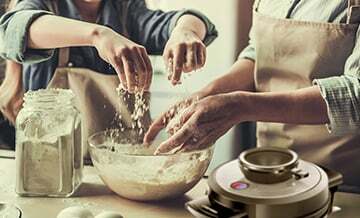 With a broad range of small kitchen electrics from kettles to air fryers, immersion blenders to waffle makers, Chefman has something for every kitchen. 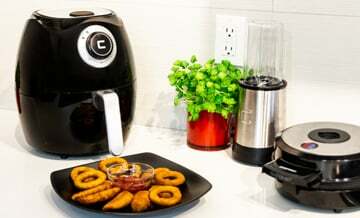 Chefman eases the pains of the everyday home chef and makes the cooking experience easy and stress free.